Mata Sahib Kaur is known as the Mother of the Khalsa in Skikh history, The honour blessed to her by the Tenth Nanak, Guru Gobind Singh Ji. The Guru blessed her with the honor of instilling the first baptism (amrit) with sweetness to balance its fierceness. On the baisakhi of 1699 when the First Amrit Sanchar was prescribed to the khalsa by the Guru himself, Mata sahib kaur ji participated in the ‘sewa’ of ‘Amrit Sanchar’ by adding sugar wafers (pataasey) to the ‘amrit’. When a Sikh is blessed with baptism in steel at the time of receiving ‘amrit’ known as the gift of ‘khande baate ki pahul’ he/she is told that your father from now onwards is Guru Gobind Singh Ji and your mother is Mata Sahib Kaur Ji. Mata ji guided the Khalsa Panth through the period of crisis many a times during the course of history and issued eight ‘hukamnaamas’ in the name of the Khalsa. Mata Sahib Kaur Ji, who is also called Mata Sahib Devan Ji, was born on the 1st November 1681 in a village called Rohtas, District Jehlum, in West Panjab, (now in Pakistan). Her mother’s name was Mata Jasdevi Ji and father’s name was Bhai Rama Ji. Her father, who was an ardent sewak (devotee) of Guru Gobind Singh Ji, influenced her to the extent that she wanted to devote her whole life in the service of the Guru Sahib. According to Folks, From her childhood, Mata Sahib Kaur Ji was a sweet and quiet natured girl. Because of the religious atmosphere at home, she was deeply influenced by Gurbani during her formative years. It is possible that in her childhood she might have seen Guru Gobind Singh Ji at Sri Anandpur Sahib during the visit of her family. 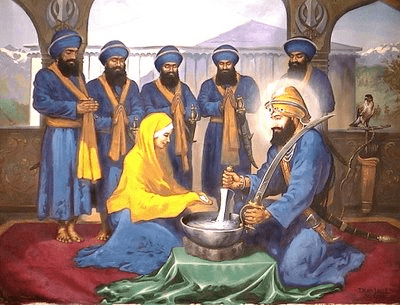 She had inherited humility, love and sacrifice to humanity and devotion to Waheguru. Mata Sahib Kaur college of Nursing commemorates the Mother of the of the Khalsa Mata Sahib Kaur Ji and pays homage to the Great Mother by dedicating a prestigious woman educational institution at the holy feet of the Mother of the Khalsa.